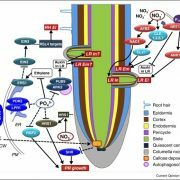 Nitrogen dioxide (NO2) forms in plants under stress conditions, but little is known about its physiological functions. 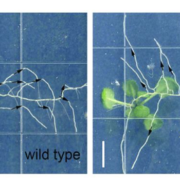 Using a variety of techniques, Mayer et al. (10.1104/pp.18.00704) have examined the effects of fumigating Arabidopsis with 10 ppm NO2 for 1 h, a treatment that does not cause visible leaf symptoms or ion leakage. 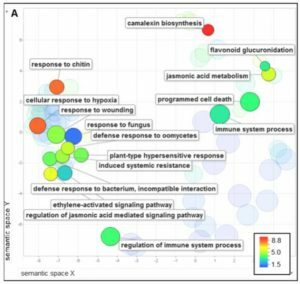 Although visual symptoms were absent, the expression of genes related to pathogen resistance was induced. 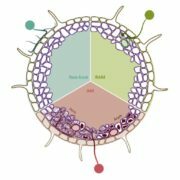 Fumigated plants developed basal disease resistance, or pattern-triggered immunity (PTI), against the necrotrophic fungus Botrytis cinerea and the hemibiotrophic bacterium Pseudomonas syringae. 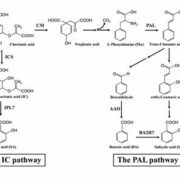 The authors also demonstrate that both the salicylic acid (SA) and jasmonic acid (JA) signaling pathways are required for full expression of NO2-induced resistance against B. cinerea. An early peak of SA accumulation immediately after NO2 exposure was followed by transient accumulation of oxophytodienoic acid. 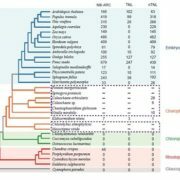 NO2 also induced the simultaneous expression of genes involved in the biosynthesis and catabolism of jasmonates. JA and JA-isoleucine did not accumulate but rather their catabolites did. 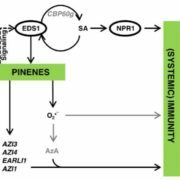 NO2-treated plants also emitted the volatile monoterpene α-pinene and the sesquiterpene longifolene, which might function in signaling or defense. 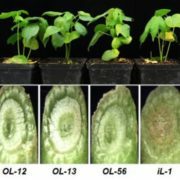 NO2-triggered B. cinerea resistance was dependent on enhanced early callose deposition and specific defense-related genes. 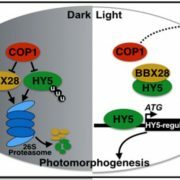 In summary, exogenous NO2 triggers basal pathogen resistance, pointing to a possible role for endogenous NO2 in defense signaling. Additionally, the results of the study point to the possible involvement of jasmonate catabolism and volatiles in pathogen immunity.